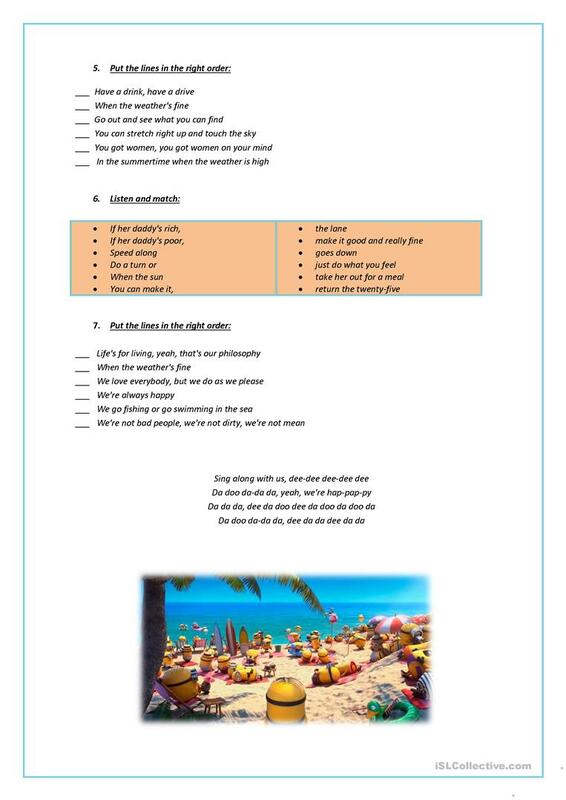 Another well-known happy song for the summer :) There are several exercises, choose the right word, fill the gaps, fill the gaps with opposites, order the lines. I hope you like it! This downloadable worksheet was created for high school students, elementary school students and adults at Elementary (A1), Pre-intermediate (A2) and Intermediate (B1) level. 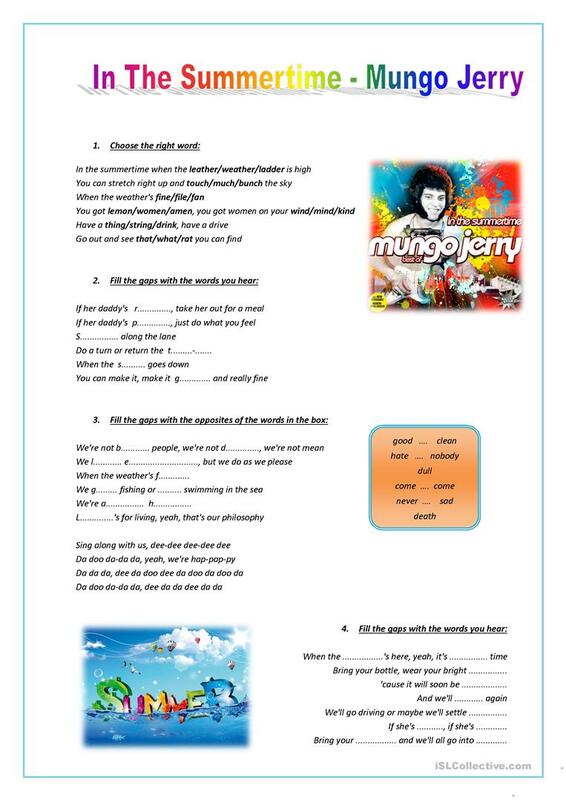 It is aimed at consolidating Opposites (antonyms) in English, and was designed for improving your pupils' Listening and Writing skills. It centers around the vocabulary topic of Seasons.